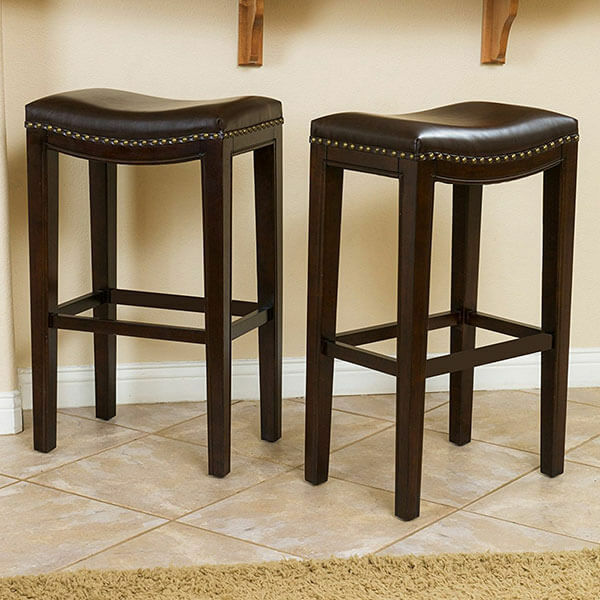 The Auburn Bonded Leather Backed Bar Stools are tall bar stools that measure 21.75 inches in length by 18.5 inches in width by 45 inches in height with a seat height of 30.25 inches. The seat portion features bonded leather sitting atop a wooden frame. The chairs are simple to assemble. 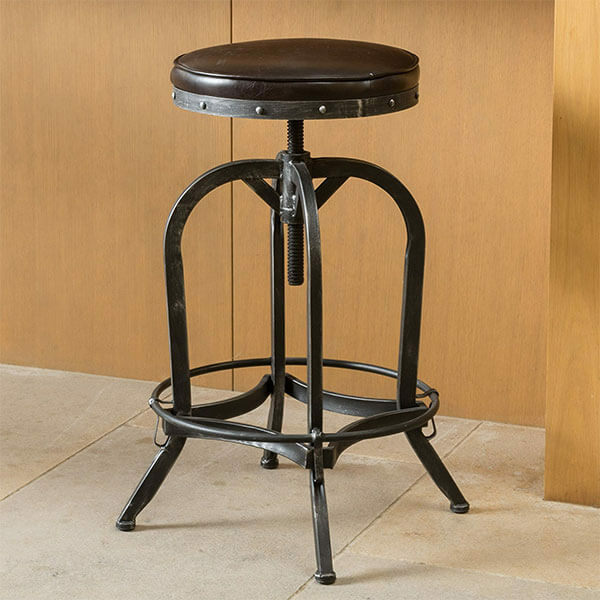 The Dempsey Brown Bonded Leather Bar Stool offers a rustic appeal to your bar or entertaining space. It comes with an adjustable seat height between 26 and 33.25 inches. The seat features brown bonded leather upholstery for an elegant look and is able to swivel around 360 degrees. 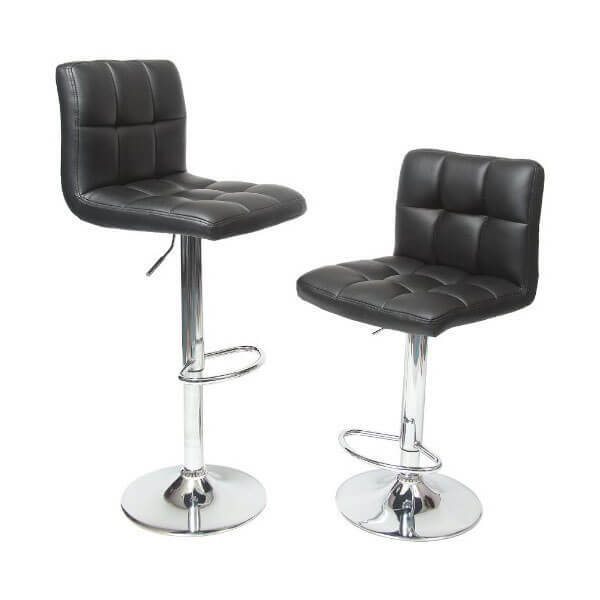 Black in color and with a tufted back and seat, the Roundhill Furniture Swivel Black Bonded Leather Stools (Set of 2) are modern additions to any counter or bar area in the home. The stools are foam filled and comfortable, upholstered with faux leather to give them a luxurious appeal. 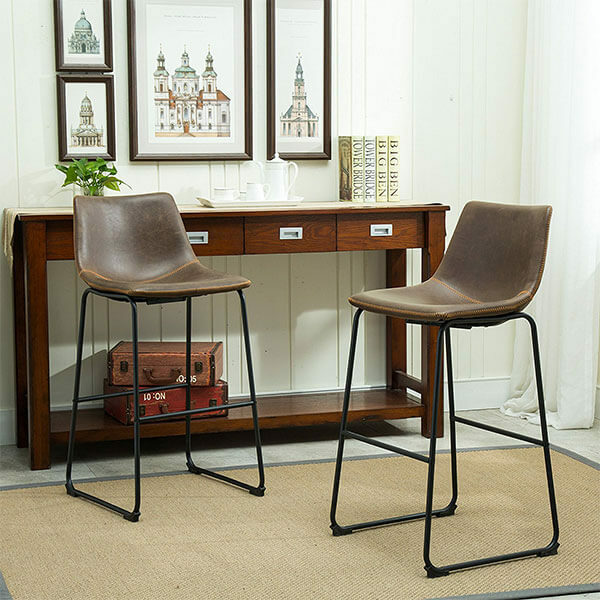 With their deep-seated design and vintaged PU leather upholstered over hard plastic molded seats, the Roundhill Furniture Lotusville Vintage Leather Bar Stools are excellent additions to any traditional home. These handcrafted metal dining stools sit atop durable, sturdy legs that offer plenty of support and stability. 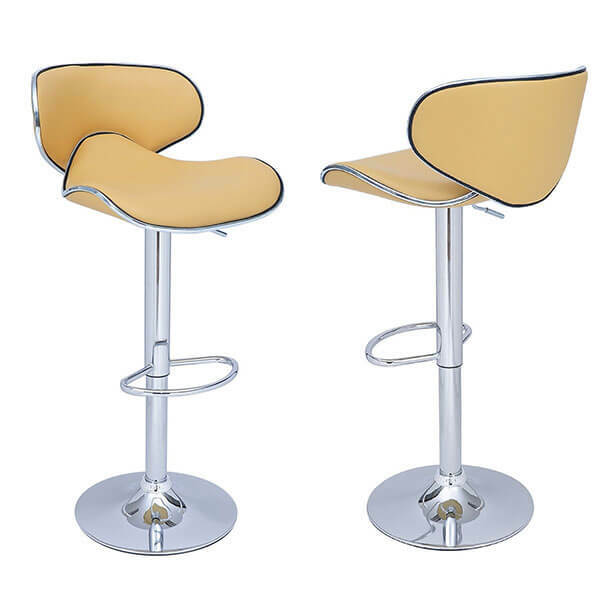 The modern, wavy, and bold design of the Joveco Modern Synthetic Leather Saddleback Bar Stools (Set of 2) will give your bar area a hint of retro flair blended with bold contemporary appeal. These stools feature an adjustable height and sit on a post that allows for 360 degree swiveling. 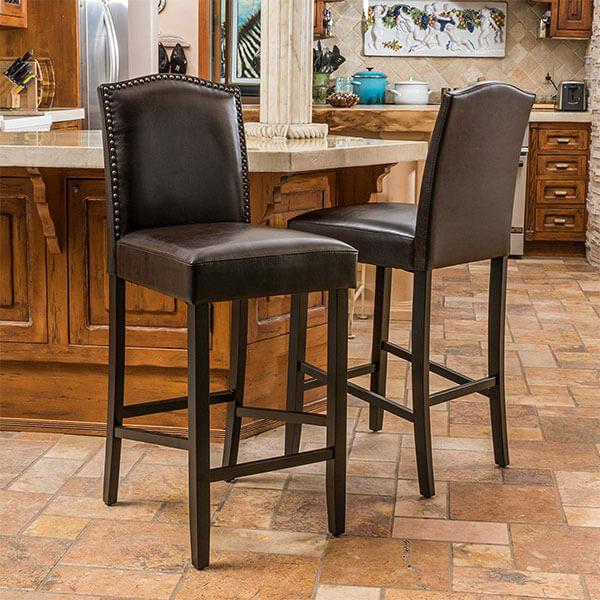 With the Jaeden Backless Brown Leather Bar Stools, you can add traditional flair to your bar area. These stools feature a contoured seat that is upholstered with brown bonded leather with brass stud accents. The espresso-stained legs offer even more traditionalism to the look.